Gov. 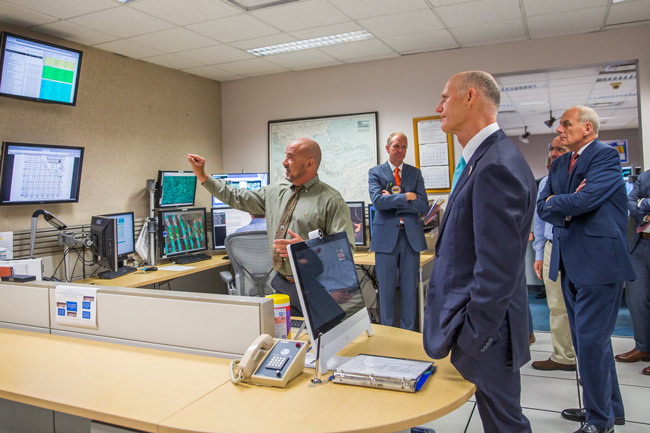 Rick Scott with U.S. Department of Homeland Security Secretary John Kelly today at the National Hurricane Center in Miami. After ending an 11-year stormless streak in 2016, Florida enters its annual hurricane season today with forecasters predicting 45 percent chance of an above-normal season. For Flagler County, the season is beginning even as costly and exhausting recovery efforts from Hurricane Matthew have a long way to go. The 2016 season was the most active since 2012, with 15 named storms in the Atlantic Ocean, including seven hurricanes and four major hurricanes. Hurricane Hermine, a Category 1 storm, struck Florida south of Tallahassee on Sept. 2, marking the first hurricane to hit the state since 2005. It did n ot impact Flagler County. A little more than a month later, Hurricane Matthew, a more powerful storm, moved along the East Coast, and for 36 hours appeared headed for the Flagler Coast. Although it did not make landfall in Florida, it caused extensive damage, particularly in Flagler and St. Johns, with some $1.18 billion in property insurance claims, according to the state Office of Insurance Regulation. Flagler is still recovering, with its beaches sheared of millions of cubic feet of dunes that must be replaced. County spending to recover from the storm has sverely depleted county coffers and required an increase in the tourism sales tax, from 4 to 5 percent, to help defray current and coming costs. The Legislature set aside $13.5 million for Flagler and St. Johns in recovery dollars for the year. The county literally cannot afford another severe storm striking its territory: it would most likely not have the money to recover, absent greater intervention from state and federal sources. The National Oceanic and Atmospheric Administration, in a forecast released last week, predicted a similarly active season this year, based on warm sea-surface temperatures and a weak El Nino ocean-atmosphere pattern. NOAA forecasters predict a 70 percent likelihood of 11 to 17 named storms (winds of 39 mph or higher), of which five to to nine could become hurricanes (winds of 74 mph or higher), including two to four major hurricanes (Category 3, 4 or 5; winds of 111 mph or higher). An average season produces 12 named storms of which six become hurricanes, including three major hurricanes. These numbers include Tropical Storm Arlene, a rare pre-season storm that formed over the eastern Atlantic in April. “The outlook reflects our expectation of a weak or non-existent El Nino, near- or above-average sea-surface temperatures across the tropical Atlantic Ocean and Caribbean Sea, and average or weaker-than-average vertical wind shear in that same region,” said Gerry Bell, lead seasonal hurricane forecaster with NOAA’s Climate Prediction Center. The forecast will be updated in early August, right before the peak of the hurricane season, which runs until Nov. 30. “Regardless of how many storms develop this year, it only takes one to disrupt our lives,” said Robert Fenton, acting administrator of the Federal Emergency Management Agency. 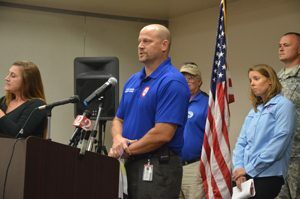 Bryan Koon, director of the Florida Division of Emergency Management, said Floridians’ experience with Matthew and Hermine last year may heighten their awareness of the new hurricane season. Koon and other state officials stressed the need for Floridians to prepare for the possibility of a major hurricane, which would bring high winds, flooding and power outages. During Hurricane Matthew, some 1.2 million customers of Florida Power and Light, the state’s largest electric utility, lost power at some point. Flagler County officials, including Emergency Management’s Steve Garten, have been touring government and civic group meetings to make hurricane-preparedness presentations, including one this morning at the Hilton Garden Inn in Palm Coast, where preparedness bags were handed out. For the link to evacuation zones, go to www.flaglercounty.org/evac_zones. 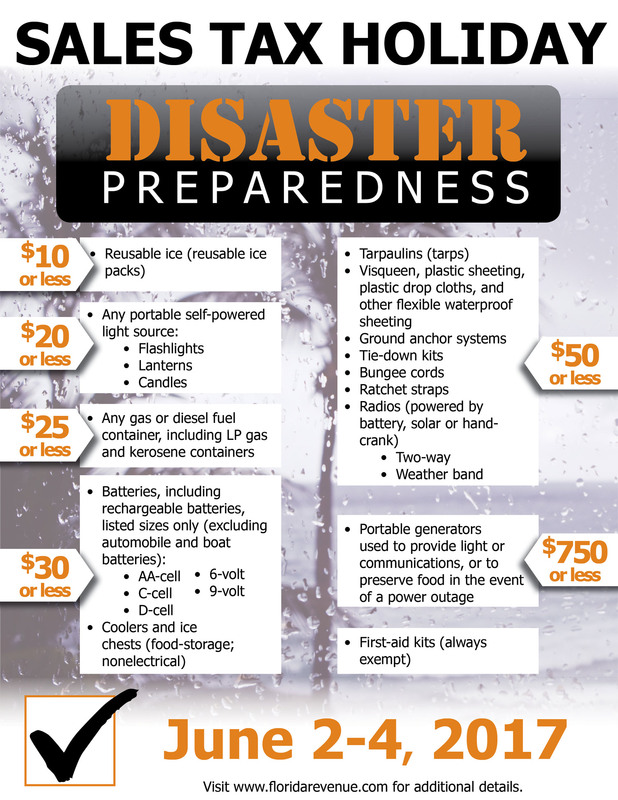 For additional information about the Disaster Preparedness Sales Tax Holiday, go to http://www.floridarevenue.com/DisasterPrep/. 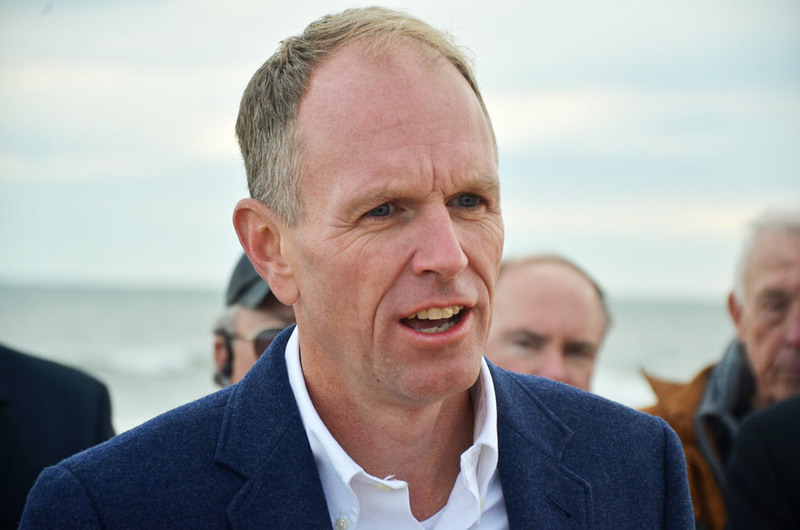 Local efforts have echoed similar appearances statewide, including Gov. Rick Scott’s today in Miami, where he joined Secretary of Homeland Security John Kelly and other officials at the National Hurricane Center to mark the beginning of the season (a governor’s press release stated he was there to “kick off” the season.) Scott also highlighted Florida’s disaster preparedness sales tax holiday, which runs Friday through Sunday (June 2-4). Florida Insurance Commissioner David Altmaier said property insurance coverage should be part of residents’ disaster plans. “The time to evaluate your insurance coverage, fortify your home and prepare for how to protect yourself and your family is now,” he said. One tip from Altmaier’s office is that residents can review the “declaration page” of their property insurance policies, which summarizes the coverage. In last year’s season, more than 119,000 Floridians made property-insurance claims after Hurricane Matthew, with more than 101,000 residential claims. Hurricane Hermine resulted in nearly 20,000 claims, including 14,000 residential claims, representing $139 million in total losses. Batteries (AA-cell, C-cell, D-cell, 6-volt, or 9-volt batteries) for $30 or less. Nonelectric coolers for $30 or less for $20 or less. Reusable ice $10 or less. Portable self-powered radio, two-way radio, or weather band radio for $50 or less. Tarpaulin or flexible waterproof sheeting for $50 or less. Portable generators for $750 or less. See this fuller list from the Department of Revenue for more details. Well Trumpster as the planet heats up rest assured the stor will be more severe and numerous.